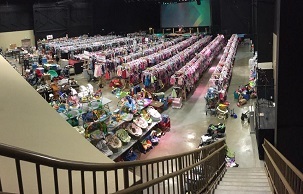 "The quality of items at this sale is above and beyond than other JBF or other consignment places. I love seeing community members there. I also love the friendly team members and volunteers. Above all, I love saving money on items necessary for my growing children. "